Paris, France: dark with fog, riots over police killings, and Far Right demagogues. Here state criminal investigator, Stanislas Cassel, grandson of a French propagandist for the Nazis during WWII, works at the Palace of Justice. Ashamed of his family’s infamy, he avoids anything political. Instead, he absorbs himself solving small crimes. Little does he suspect the life-changing shock awaiting him when he looks into the bizarre murder of a pensioner, who seemed to have lived an uneventful life. What will Stanislas uncover in his investigations? 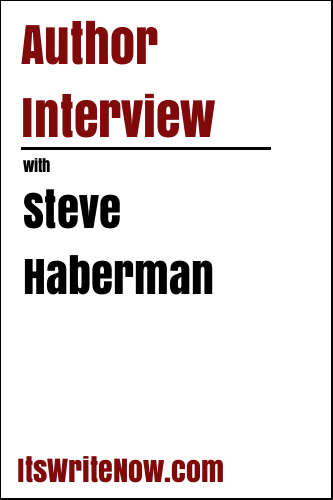 To share the story of the shock awaiting Stanislas, I’ve been joined by Steve Haberman, author of ‘Murder Without Pity’ a mystery thriller for today’s turbulent, dangerous times. Steve, what initially inspired you to write a novel about a murder investigation that starts in the walls of the Palace of Justice? I have had for some time an interest in European history and certain disturbing tendencies over there. I have read extensively about that theme and have visited Paris many times where mob hatred played out. Since I don’t want to give away the plot to Murder Without Pity, that’s all I want to say. We can’t give away the plot, that would wreck all the fun of reading! But with mob members and a touch of murder can you at least reassure the readers and I that the events in the book are fictional, and aren’t taken directly from your own life? Nothing from my own life, thank god. But I have drawn on some tragic lives of others. Thank goodness you haven’t experienced these events yourself! As we can’t go into too many details about these events, let’s see if we can garner a little intrigue for the readers by looking a little closer at the cast of characters in the novel. How did they come to life? The characters are partly based on actual people, who lived during the writing of the book and partly on those I read about and deeply admire. They’re not tall or dark or handsome or rich, but they’re decent human beings motivated by deep convictions of justice. Was working with characters you admire where you felt the greatest rewards during the process of writing this book, or were you rewarded elsewhere, and if so, where did you find these rewards? The research for one thing. And for another, simply finishing it. It’s like a jogger who, after running for miles, at last, crosses the finish line. He’s tired but happy he’s achieved something. Others may or may not like his style, but he knows he went the distance. Going the distance is an incredible achievement. There are so many others who would love to write a novel, but you actually got out there and did it. What was the most important thing that you wanted others to see from this literary achievement? History may not repeat itself exactly, but it does rhyme. Indeed it does rhyme, which hopefully allows you to learn from the last time the events were in play. Looking back on your writing experiences, what do you feel that you learnt? Just to stay with it, to keep writing despite what others may think (here I refer to a destructive Read and Critique Group I was briefly in.). It sounds like there’s a bit of a story there with Read and Critique groups. After your personal experiences would you recommend them to other self-publishing authors? Read and Critique Groups are a dime a dozen, as far as I’m concerned. Some are good. That is, they give helpful feedback, pro and con, but aren’t brutal in their comments. Others can be destructive. It really all depends on the teacher, so if you can Google the teacher, see what he or she has had published, the reviews, etc. Also, see what others have to say about the group. I’m glad that hasn’t let a destructive experinece hold you back. In fact, it looks like your writing flourished as I know that you’ve continued writing. What’s coming up in your writing pipeline? I’ve pretty much finished up Darkness and Blood, the sequel to The Killing Ploy, and also Winston Churchill’s Renegade Spy and am slowly shifting over to Where the Bodies Lie, a thriller set in 1946 Berlin. That is all great news for lovers of the combination of history and mystery. Why do you write about this powerful combination? Not to change the world, that’s for sure. Good luck, if you can!. To escape the ordinary. The stories I write involve me in distant lands and with people living, for the most part, interesting lives. When you are deep into your writing, trying to escape the ordinary, what are you thinking about? Only the characters I’m writing about. Are the events in these characters’ lives planned by you in advance of being written? Or do you take a more unplanned approcch and find the characters and their lives unfolding as you write? Depends. Sometimes I get an idea how the book ends almost immediately. Other times, I glimpse the ending only gradually, as I write and research. Are there any specfic techniques that you use to get the best out of your research and writing? I write standing up five days a week. And of course when I’m away from the writing desk, ideas come to me, and I naturally jot them down, on bus schedules, napkins, the palm of my hand, whatever is handy. I hope you don’t miss too many of these ideas because you ran out of space on the palm of your hand! Once you’ve read all of your notes, checked the palms of your hands and wound all of these ideas into your story, how do you go about editing to refine the story? Once I’m through with the story, I put it aside and move onto my next project. Then sometime later, I’ll go back to it for a fresh look, only I don’t read it online. I print it out because I suspect I get accustomed mentally to looking at the pages a certain way. So to upset that thought process, I shake things up mentally via that print-out. And of course, I do have a professional editor look at parts of it. When you have revisited your work to edit it, do you think about the author brand you are creating with your work? I’m not interested in any author brand just as I’ve never been interested in projecting any personal image. I am what I am. My focus is really just on the story, first and foremost and always. The story is one of the best places for an author to focus their thoughts! Another place to focus is on things that make you smile and laugh, and one way I like to smile and laugh in by using some of our quirky quick fire questions. Let’s see if we can get either of us to smile today with the collection, starting with, what is your favourite word? *Laughs* I love that answer so much, because it fits so nicely with our next quetion. Why isn’t there mouse-flavored cat food? There should be for lazy cats who don’t want to hunt. I agree, there’s so many products catering for lazy humans, surely there needs to be some for lazy cats! Moving from cats to monsters, if you invented a monster what would it look like and what would you call it? I’m not sure you’re able to claim invention status on that one. Are you left or right handed? And, what happens when you get scared half to death twice? Depending on what scared you I feel that you might have already been sweating! What is your best tip for authors? Don’t quit your day job and keep writing. Always keep writing, and reading. Steve, what is thes best line of your novel that you can leave us with today to entice us all to pick up a copy of ‘Murder without Pity’? A murder mystery for today’s turbulent, dangerous times! Steve, thanks for creating and sharing this murder mystery for our times, and I can’t wait to see where your writing adventures take you next! Excited to read the book we discussed today? Find it here on Amazon: ‘Murder Without Pity ( ASIN: B0080UM456 )‘. Want to find out more about Steve Haberman? Connect here!